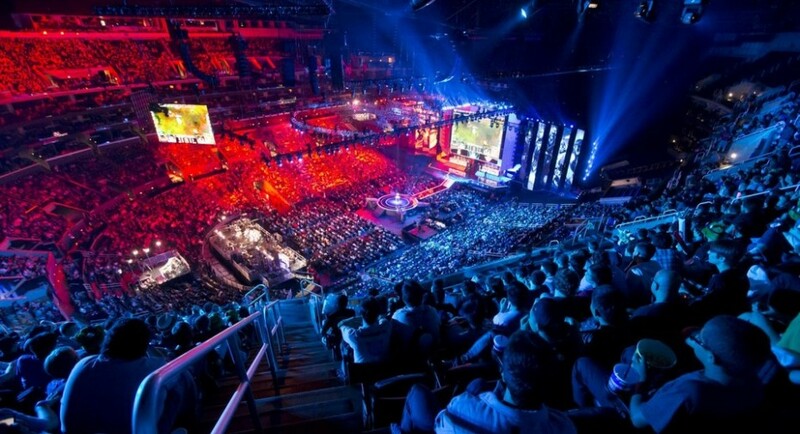 ESports are taking a lead when it comes to games with majority viewers. Most of the popular games in this category are online games with multiple players. Platforms such as Twitch TV that support online live streaming are continuously gaining popularity with registration of new users hitting millions. One of the most popular games that has taken the gaming world by storm and continues to grow in popularity is the league of legends. This is a riot game that support multiple players in an online battle arena. In the last year, the game attracted 36 million viewers as people were tuning to watch teams battle it out in a supremacy battle. The game will be holding a world championship this year from September 29 to October 29 where teams are expected to battle it out for supremacy. Projections show that the number of views is expected to grow from those that tuned in last year as the game has grown in popularity. The proliferation and growth of the gaming community is a clear indication that this field has become popular and it is a force to reckon with and acknowledged in the face of other games. The league of legends has gone to the extent of winning the Golden Joystick Award for Online Game of the year. Unlike other traditional games such as football and athletics, this game offers a single platform for participation. It has a simple mission and goal where the teams are expected to destroy the other teams’ base. However, it is not as easy as it sounds as the base, also called the nexus is heavily guarded by minions that are positioned in towers and equipped with guns to shot at any perceived or approaching attacker. The league of legends incorporates diversity and captures the interests of many. Just like the recently completed Olympic Games in Rio de Janeiro that had multiple games under the same umbrella of athletics, the game also has different roles. In the game, there are five different roles and 132 different champions. The different champions have different abilities from each other and the players of the game have the ability to control these champions. Every champion starts the match at a lower level. Experience is only gained by the champion over the match duration and the highest level is 18 where at this point the champion is a pro. The League of Legends is well formulated and comprises of three different paths that the champions may follow to fight and compete against enemies using the same path. Just like football that has a striker, a midfielder and a defender before reaching the goal keeper, the paths of the league are as follows. c. The lane at the bottom comprises of only two champions who are the attack, damage carry (ADC) and a support champion whose role is critical as he helps the ADC. The support champion secures the enemy kills to ensure the team is stronger than their enemies. In between the three lanes is a jungle. There are monsters and other creatures in the jungle and a champion who comes here builds his confidence by fighting them and becomes stronger. While still in the jungle, this champion called the jungler provides help to the lane of his team members and secures kills for the teammates. The normal champion can interchange to ensure that they do not play the same role as a routine. All the champions contribute towards the success of the team. For example, a ghost creature moves the enemy team champions around and absorbs their souls while an ice archer severely damages his enemies. Champions who keep on winning have a high chance of being selected in each game. Preparation, strategy and the ability to work in a team is what gives a champion an upper hand when it comes to winning. It is this aspect that makes the league of legends an intriguing and exciting game. Also, there is no routine that is followed in each game, there are different paths that can be taken making the game unpredictable and interesting. The game has a huge following around the world and with the anticipated championship that will kick off at the end of this month, it is safe to say that the game has become a professional sport. The video streaming services also offer funs an opportunity for a closer look and engagement with the professional players.